Raman comes to know about Ishita’s insult at the party. Even Mihir understands it was a plan as Suraj and Parmeet has sent him and Bala from the party and also invited Mani late, so that they all can humiliate Ishita. Mihir tells Mihika that it was all Ashok’s plan to hurt Raman and Ishita. Raman comes to meet Shagun to ask about her wrong address message and she denies it, as she has not sent it. Raman then doubts Adi and rages on him, saying he will ruin Shagun and even Adi, if they try to hurt Ishita more. Even Mihir supports Ishita and scolds Shagun, for being so disloyal to them and filling poison in a kid’s mind, making Adi do the worst things in his age. Shagun tries to defend Adi and says Adi can never do this thing. Raman is sure that Adi has done this, but Shagun keeps Adi away seeing Raman’s anger. Mihika gets furious on Ashok and Suraj knowing everything that happened with Ishita. Mihir tells Raman about Suraj and Parmeet’s plan. Simmi tells Raman about Parmeet’s truth as he is the one who has manipulated Adi. Raman gets angry and starts leaving to beat him. The big hearted Ishita stops Raman again, asking him not to take any wrong action in anger. Mrs. Bhalla asks Raman to teach Parmeet a lesson, and even Simmi says yes this time, feeling Parmeet has played enough with her emotions. What will Raman do with those creeps? We hope, Parmeet is surely gone this time. Keep reading. Raman teach param and suraj such a lesson that they shouldn’t even think about ishu by mistake. super raman u rock…………………….i love this serial but u dont leave ishitha its wrong decision plz plz plz u will do like that everyone dont watching the serial ………………………………..plz dont do like that u both are so crazy yarr………………………. Jyada kucha nhi bas hum sab ka dil dukhakar hame rulakar Ekta IshRa ko alag kar degi . Maine abhi YHM k wikipedia par padha IshRa surely alag ho jayege. Ruhi ki Ishimaa ab Nirvan( Mani’s son ) ki Ishimaa kehlaegi. Agar kisi ko pata ho ki yeh wikipedia ki news hamesha such hoti hai yaa nahi pls muje bataon. Kyun ki ye news sun ne ke baad to mere aansu ruk hi nahi rahe hai…..
Hey that’s not at all true.I read the wiki but nothing was written like that so please just chill…….. I agree with Prayosha. This was on the cards since the entry of Mani. The lines that were used between Mani and Ishita and Raman himself told in the beginning ki main tum dono ko mila ke rahunga. Raman also said Biwi ho to aisi bas kisi aur ko na mil jaye. This was the reason y the makers did not bring Ishra close physically. 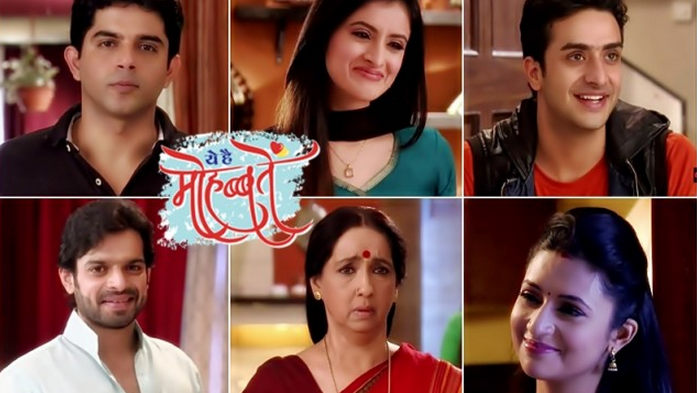 All said and done, YHM fails to impress the audience in the long run. A love story turning out to be a family drama. Ishita doing the good job every where that’s it. Star plus u need.to think Abt serials…like. .diya bath is most disgusting serial… Being in foreign how much felt disrespectful… Plz stop.